In contrast to the multitude of mixed messages in today’s world, Live Without Stress stands out as precise, unerring, and sure. It is a relief to read a book this direct and practical. Stress is necessary in life, but if managed poorly stress makes life miserable. 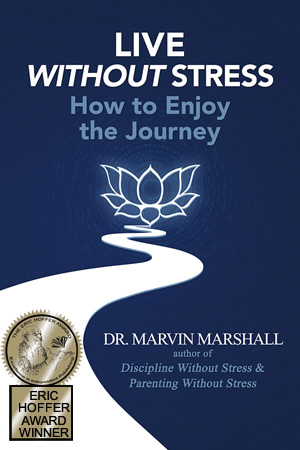 Dr. Marvin Marshall shows you how to reduce the negative impact of stress in your life and career. This newest book by Dr. Marshall is a must read. It will help you reduce stress in your life. I recommend it highly to all who have some or a lot of stress in their life and business.